The big difference is that you don’t want to avoid sleeping ghosts, as I originally assumed would be a good thing. Once you wake up a ghost it begins chasing you, but it will never catch up to you as long as you keep moving. You want a huge train of ghosts behind you. The dots are laid out in the mazes in such a way, if you do everything right, where you’ll wake up all the ghosts along the way and get a power pellet at about the same time as when you have a huge train of ghosts, at which point you can simple turn around and eat them all for a massive point boost. They’ve also added a cool feature where, if a ghost gets to close to you, time slows down, allowing you to either navigate away easily or use a bomb, which pushes all the ghosts into the middle of the map (in the ghost spawn area thing). So ghosts aren’t used so much as a way to kill Pac-Man, but more as a means to build up a huge score once you get a power pellet. There are other game modes as well, including Time Attack which consists of a number of short trials and one longer one in which Pac-Man needs to eat as many pieces of fruit as possible. Another is Ghost Combo where players must try to build up a huge train of ghosts and eat as many as possible when under the influence of a single power pellet. There are a number of different maze options as well as a number of different customizations to the mazes themselves, such as the ability to choose the stage background style, music and character models. Gameplay – It’s amazingly fun and addicting trying to increase your score. Most of the fun comes in figuring out the most efficient ways to go through the maze eating dots and fruits while building up a nice train of ghosts behind you. The addicting part comes trying to increase your score just a bit more, knowing you can do just a bit better each time. Style – I Love the neon style layout, it’s really cool looking and really updates the game to have a more modern feel. Scoring – When you finish a level, the game automatically compares your time against the rest of the world to determine your rank. It’s a nice feature because it’s dynamic to what the rest of the world is doing, not what the developers thought should be an ‘S’ rank score, for example. It’s fun seeing how you measure up to everyone else. Customization – I love being able to choose which background and character models I want to use. There’s a nice range of choices, from Lego-like to trippy-neon-futuristic to classic backgrounds. The same holds true for the models, I really like the ability to make the game look how I want it to look. “Classic mode” – I love the new style, but I wish there was a way to play the old school way, where you eat all the dots on the stage while avoiding the ghosts, then go to the next stage. While the new style is more than enough to keep you busy, it would have been nice to have the throw-back. 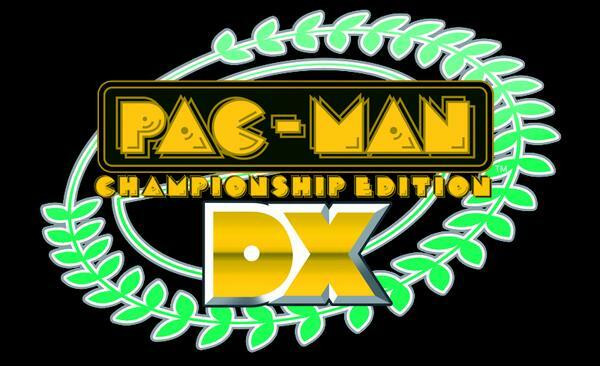 Overall, I think Pac-Man Championship Edition DX is great for both newcomers to the series and older gamers who played the original. The reboot really brings the series up to date while retaining the fundamentals of the Pac-Man experience. How much I played: I played through all modes of the game and unlocked all achievements for the Xbox 360 version of the game. Yes, but how does it compare to the ipad version? I’m on the go, all the time. I can’t be plugged into a game system just for you. Time is money.